Ford introduced all-new models for 1952, beating rival Chevrolet to the punch by a full year. The Crestliner became the Crestline, and continued on as Ford’s top-of-the-line model. On the outside, the car was more modern looking, with a wraparound windshield and curved rear glass, a new grille, and more ornamentation to break up the earlier “Shoebox” Ford’s look. The Crestline came standard with a V-8 motor. The 239-cid L-head engine used a two-barrel carburetor like the 1951 Crestliner, though a higher compression ratio moved power up to 110 hp. A three-speed manual transmission was standard, while overdrive and Ford-O-Matic were optional. Body styles included the Victoria two-door hardtop, the Sunliner convertible, and the four-door, wood-clad Country Squire station wagon. The base price for a Crestline Victoria in 1952 was a hair over $2,100. 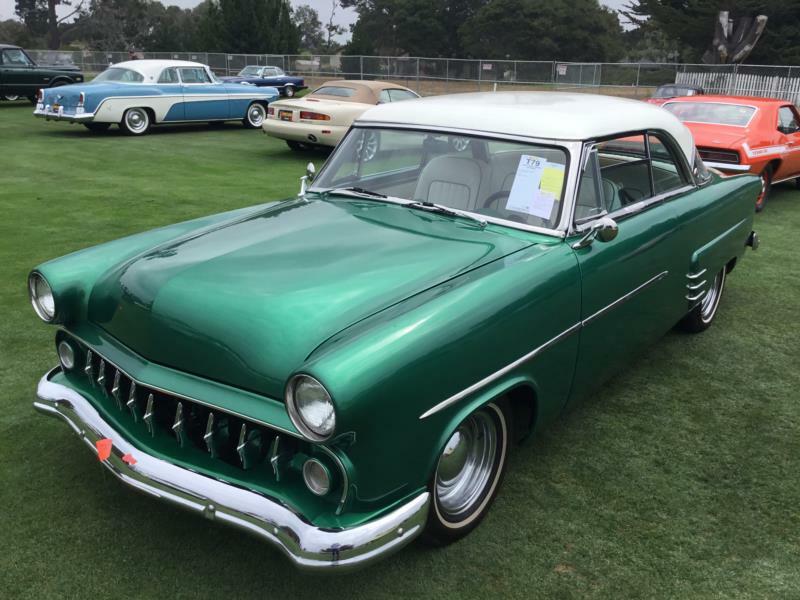 The 1953 Ford Crestline was largely the same as the previous year, with a slightly simpler grille and different brightwork on the car’s side. Body choices and prices were essentially the same, as was the powertrain. Power steering became a welcome option this model year. The 1954 model year was the last of this generation, as a major redesign was scheduled for 1955. Still, Ford went forward with a host of new mechanicals, including a new suspension setup and a new engine tune. The V-8 now generated 130 hp, and a 115-hp six-cylinder engine became the new standard motor. The 1954 Ford Crestline received a new model called the Skyliner, which was similar to the Victoria two-door hardtop, only with a Plexiglas panel over the front passengers. New luxury options included power brakes, windows, and front seat. A two-door station wagon also joined the Crestline lineup this year. The Ford Crestline was a popular model during its run, with more than half a million being produced. Collectors typically seek out the convertible models, though the Skyliner is an interesting model in its own right. The Crestline was a fairly well equipped model for its class, which helps make it enjoyable to drive today. It is also relatively easy to maintain assuming rust and rot are at a minimum. All in all, the car is an affordable way to experience a mainstream 1950s American car.